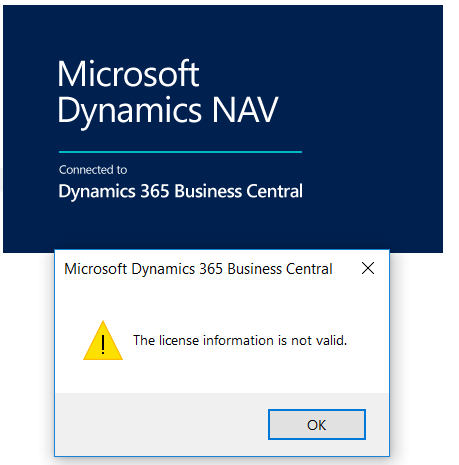 Business Central License is invalid? That does the Event viewer say? If you open the event view (eventvwr) There sould be more information. Could you open that and past the relevat exception(s)? MessageWithoutPrivateInformation: The license information is not valid. Message: The license information is not valid. I had the same error but noticed that 2018 license is working fine with BC.